It feels like this has been a long time coming somehow, and almost hard to believe that it’s not yet happened. And whilst it has been mooted in previous years, things never worked out – the planets were not yet aligned. 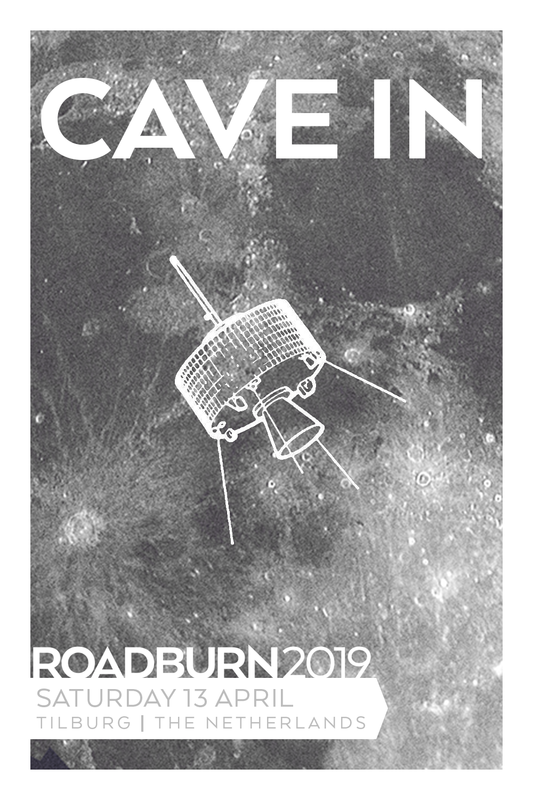 But now, here we are preparing for the 2019 edition, with Cave In where they belong: on a Roadburn bill. Their recorded output tailed off after 2011’s White Silence as band members shifted their focus to other creative outlets (Mutoid Man, Zozobra, Old Man Gloom to name just a few). But sporadic live shows and an incredible – and varied – back catalogue has kept the Cave In dream alive for many fans. Ask a group of fans (or even the band themselves!) which is the stand out album in the Cave In discography and you’ll get as many answers as there are releases. In the middle of their back catalogue are the more melodious moments, bookended by heavier releases in their earliest and latest incarnations. Stick a pin anywhere and you’ll find something that sounds definitively Cave In, yet can differ wildly to where the next pin falls. News that the band had been rehearsing (and possibly writing!) at the tail end of 2017 allowed some fanatics to dare to dream: what could new Cave In material sound like today? On March 28 of this year, Cave In bassist, Caleb Scofield, died in a car accident leaving behind his wife and two children. The Cave In inner circle rallied around Caleb’s family, fundraising and arranging benefit shows; it was clear that their aim was to do what their friend tragically no longer could – provide for his family. At the 2018 edition of Roadburn, Stephen Brodsky and Adam McGrath paid a moving tribute to Caleb with an acoustic set of covers and Cave In tracks. As the audience and band members alike found catharsis through music, we wouldn’t have begrudged them one bit if this performance was the closest we ever got to Cave In at Roadburn. When whispers reached us that Cave In would potentially be open to a Roadburn set for 2019 – our interest was well and truly piqued. Some months later, we’re beyond delighted to say it’s true – it’s really happening. The impromptu set Stephen Brodsky and Adam McGrath played at Roadburn Festival in 2018 to honour Caleb Scofield will be released digitally and on CD on November 30 via Roadburn Records. Vinyl will follow in early 2019. Part of the proceeds will go to the Caleb Scofield Memorial Fund.